WASHINGTON, March 9 (Reuters) - The Chicago Tribune endorsed U.S. 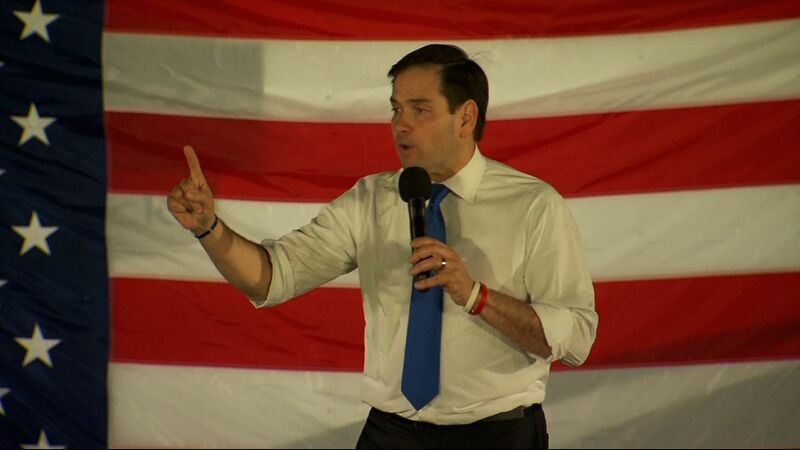 Senator Marco Rubio in the 2016 Republican presidential race on Wednesday, a week before Illinois' winner-take-all presidential primary. 1. His parents, Mario and Oria, are Cuban immigrants. 2. Attended Tarkio College for one year on a football scholarship before he later transferred to Santa Fe College. 3. When he was sworn into office in 2011, he said that he owed $100,000 of student loans which he finally paid off in 2012. 4. His wife of 17 years, Jeanette, is of Colombian descent and was once a Miami Dolphins cheerleader. 5. He went viral with a sip of water. Rubio gave the official Republican reaction to the State of the Union in 2013, but the only detail most people remembered was the moment in which he became so parched that he reached for a water bottle to quench his thirst. 6. Though he was baptized as an infant in the Catholic church, he was also baptized as Mormon later in childhood when his family lived in Las Vegas. He is now a practicing Catholic. 7. He teaches political science at Florida International University in Miami. 8. He says the first concert he ever attended was a Prince show. 9. His family used to call him Tony, which came from his middle name Antonio. 10. He was speaker of the Florida House before he was a U.S. Senator. The newspaper of the state's leading city credited Rubio's embrace of spending limits, a line-item veto and a balanced budget amendment. "Crucially, his foreign affairs expertise vastly exceeds that of his rivals," it said.